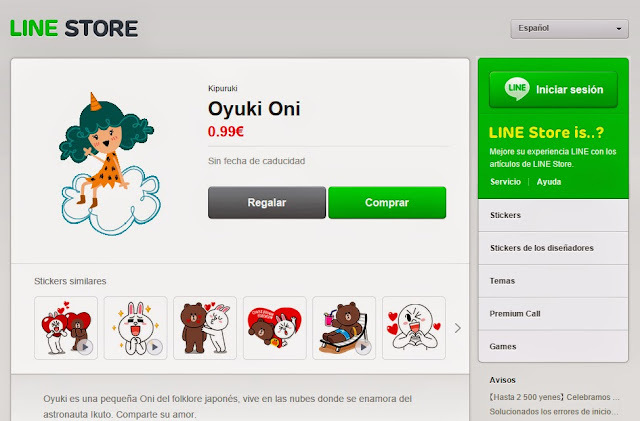 Oyuki is a little Oni of the Japanese folklore. She lives in the clouds where she falls in love with Ikuto, the astronaut, who loves her too. 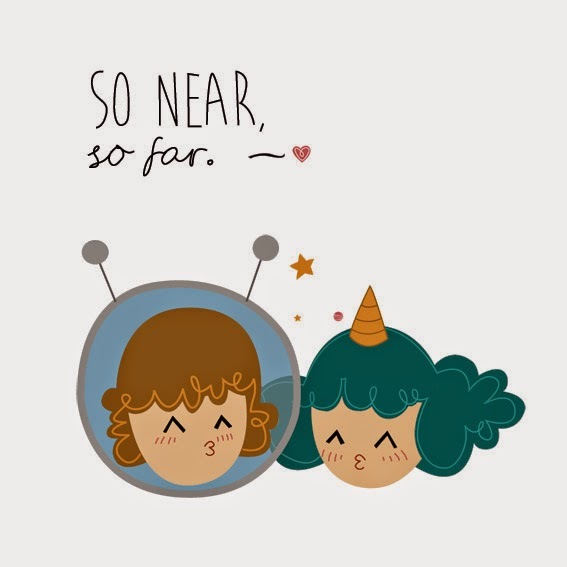 Love quote: So near, so far. 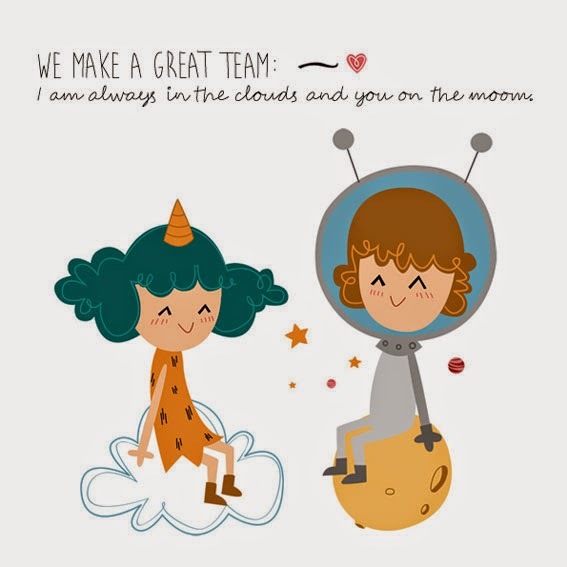 Love quote: We make a great team: I am always in the clouds and you on the moon. 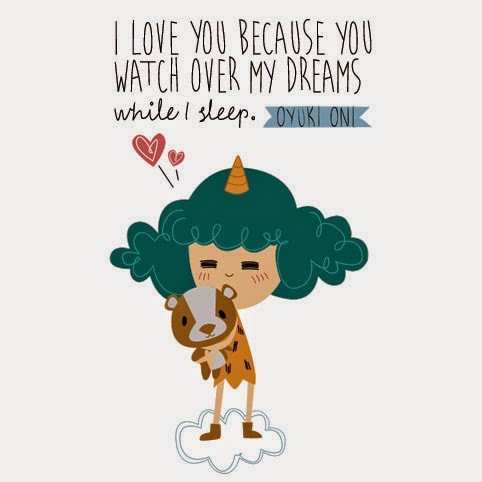 Love quote: I love you because you watch over my dreams while I sleep. 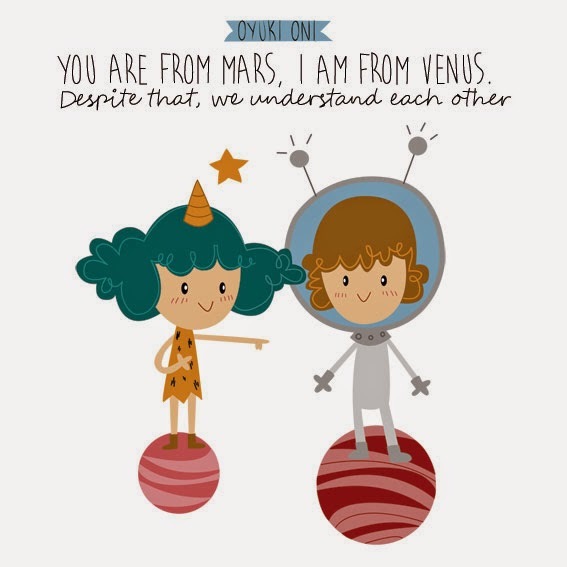 Love quote: You are from Mars, I am from Venus. Despite that, we understand each other.